Your desktop is the first sight you see when you switch your computer on, and there’s nothing worse than flicking that computer on and finding yourself staring at a cluttered mess. 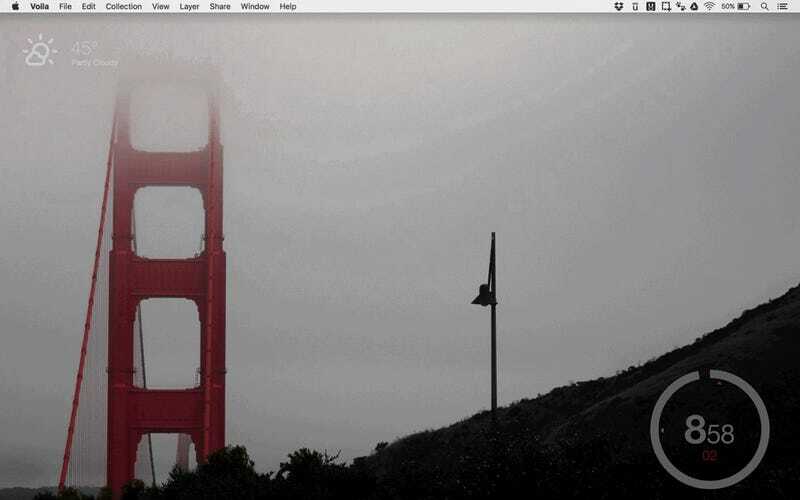 A tidy looking desktop is just as satisfying as a tidy house, and a lot easier to maintain. So getting to a more soothing computer lifestyle by following these series of tips we’ve put together. Create your own super-minimal desktop for your Windows or Mac machine, and making sure it stays that way. To start with make sure your operating system is putting as little as possible on the desktop. On Windows, launch Settings then choose Personalization and Taskbar to set your Taskbar to automatically hide. Since Windows 10 settings are all over the place, so next you’ll need to go to Appearance and Personalization and Personalization in Control Panel, then click Change desktop icons, to get icons like This PC and Recycle Bin off your desktop too. Windows used to have a super handy desktop clean up tool to rearrange the clutter of lots of files, but it’s no longer with us. Windows 10 does now support virtual desktops though. So you can at least keep your apps and windows well spaced out across multiple desktops—switching to the necessary—and more cluttered ones—with a click of the Task View icon just to the right of the taskbar search box. Unfortunately shortcuts and the taskbar stretch across all the desktops you create, so it’s got limited use as far as minimizing your desktop clutter goes. If you’re using macOS, open up the Dock section of System Preferences and you can shrink the dock in size and make sure it’s hidden until you need it. Go to General in System Preferences and you can also hide the menu bar as well for that truly uncluttered look—like the dock, it will swing into view when you move the cursor towards it. You can also open Preferences from the main Finder menu to hide certain items from the desktop (under the General tab). Again, the virtual desktop facility in macOS lets you space out applications and windows but not shortcuts and files stored on the desktop. It’s called Mission Control and you can bring it up by tapping F3. One trick that does work on both Windows and macOS is adding an extra display—you can then clear all the clutter off to a secondary monitor and keep the desktop on your original screen looking nice and fresh. We’ve talked before about excellent places to find wallpaper for your desktop but there are a few sites that cater to the minimalists among us. Simple Desktops is one of the best minimal wallpaper sites out there, pulling together a host of great-looking backdrops from various corners of the web. There’s also a Mac app you can use to cycle automatically through some of these images. Vladstudio is another site that focuses mainly on simple wallpapers rather than complex backdrops, and the high resolutions of the images mean they all look superb even on the newest screens. You can probably find a few more less obvious places to have a browse too—this minimal wallpaper subreddit is worth a browse, for instance. Meanwhile regular wallpaper libraries will often have a minimalist category you can drill down to, like DeviantArt, for example. A quick web search will throw up a whole other set of curated lists of minimal wallpaper, including one by our friends at Lifehacker. If you want to go as blank as possible, you can, of course, set your OS wallpaper as a single, solid color. On Windows, right-click on a blank part of the desktop and choose Personalize then pick Solid color from the Background drop-down; on macOS, just click the Solid Colors option under Desktop & Screen Saver in System Preferences. It’s all too easy to use the desktop as a general dumping crowd for shortcuts and files that have to be kept close at hand but aren’t necessarily all that important—as a result, your screen can quickly become covered with unsightly icons and arrows. One solution is to create a subfolder directly off the desktop for all this digital flotsam and jetsam. All those temporary files you might need one day are only an extra double-click away, but the only blemish on your desktop is a single folder, and you can probably clear out this folder on a regular basis and not notice anything important has gone missing. As for shortcuts, just delete them and see which ones you actually really rely on. There are so many better ways to launch apps and files now—Spotlight, Cortana, the Start menu, the dock—that you don’t really need to have rows and rows of shortcuts taking up room on your desktop and obscuring your beautiful minimalist wallpaper. Shift all your shortcuts into a temporary folder just in case, and the next time you need a file or application, try searching for it instead. If all goes well, you can delete that temporary folder after a while, and enjoy your new minimalist way of working.